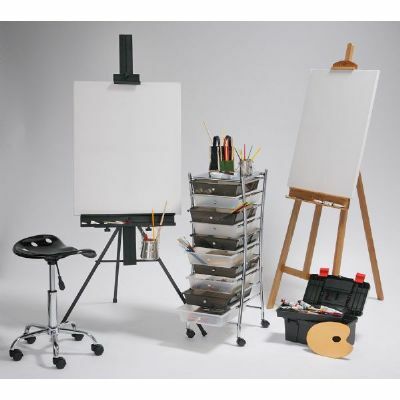 This art box is great for the traveling artist and for storing a variety of small tools and supplies! 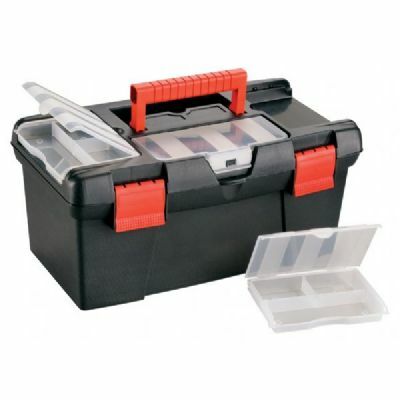 Constructed of durable plastic and featuring many storage compartments for small and large tools and supplies. 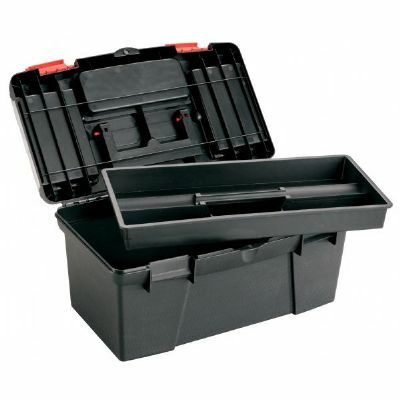 4" x 6¾" x 1½" pull out tray reveals main compartment that measures 14¼" x 7" x 5¾". Security loops can accommodate a small lock. Overall dimensions: 15½" x 8¾" x 71⁄8". 24 points will be rewarded when you are logged in to your account and buy this item.